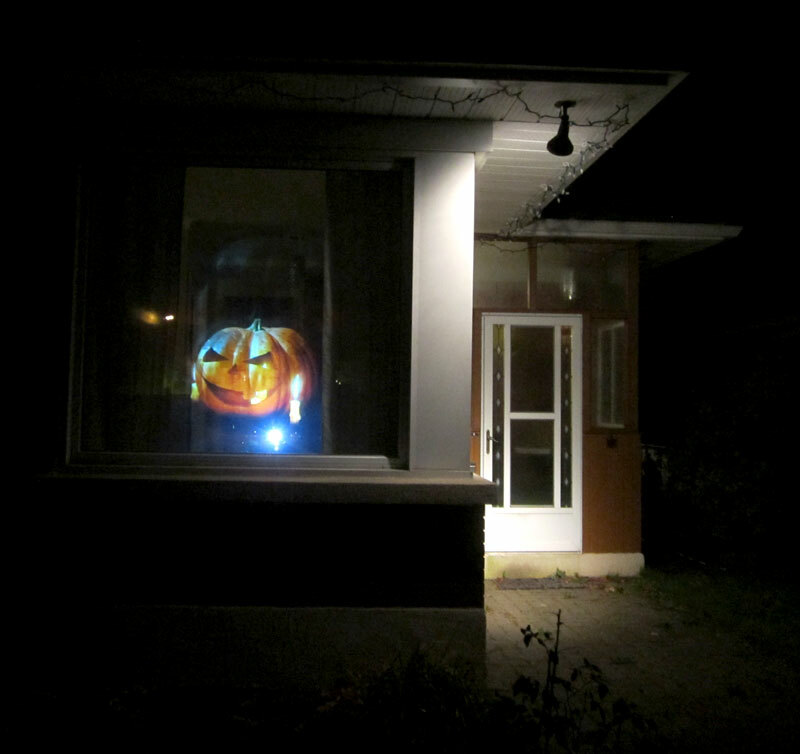 We had a pretty disappointing Halloween – only four batches of kids showed up at the door. Even though I set up a creepy ghost-pumpkin hologram and everything! 🙂 I pointed our projector with a polarizer on it against the plastic in our window – it looks really neat as you walk past it, fading in and out. I finally had an excuse to ride the O-TRAIN! 🙂 It’s a rail line running North-South through an odd collection of stops, so it’s hard to find a compelling practical reason to ride it. The few times I’ve made an effort to ride it just for the sake of being on a train, it’s been shut down for repairs or off-season. 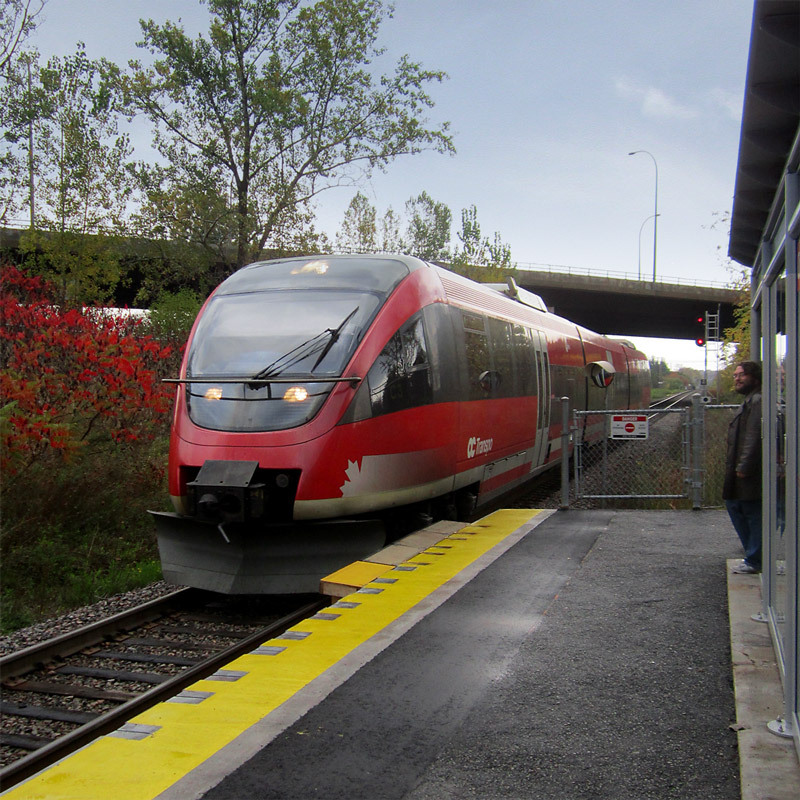 Yesterday I was going to Carleton University, and rather than take a 15 minute walk in the rain, I waited patiently for the chance to get on board. It was pretty fun! The cars are surprisingly wobbly considering the slow speed and the investment in new rails – you have to have your sea legs to stand up on the short bit of track between Carleton and Confederation station, but the chairs are tall-backed and comfortable, and there’s lots of open space inside. 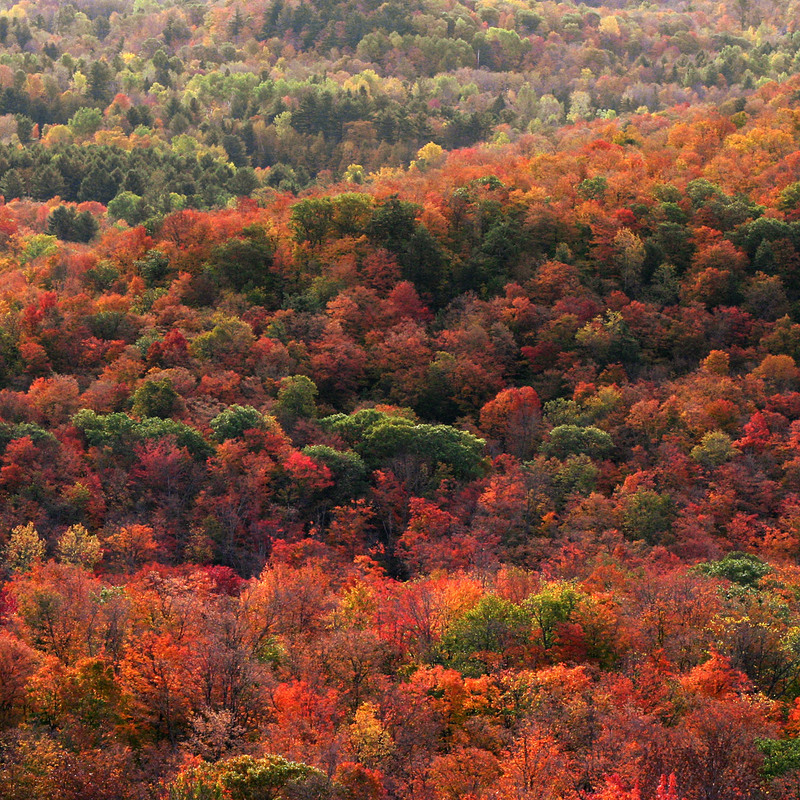 Trees on the rolling Gatineau Hills, going through their colour change as cooler temperatures settle in. They’re only red like this for a few weeks, it’s awesome if you can take some time out to catch them at their peak. 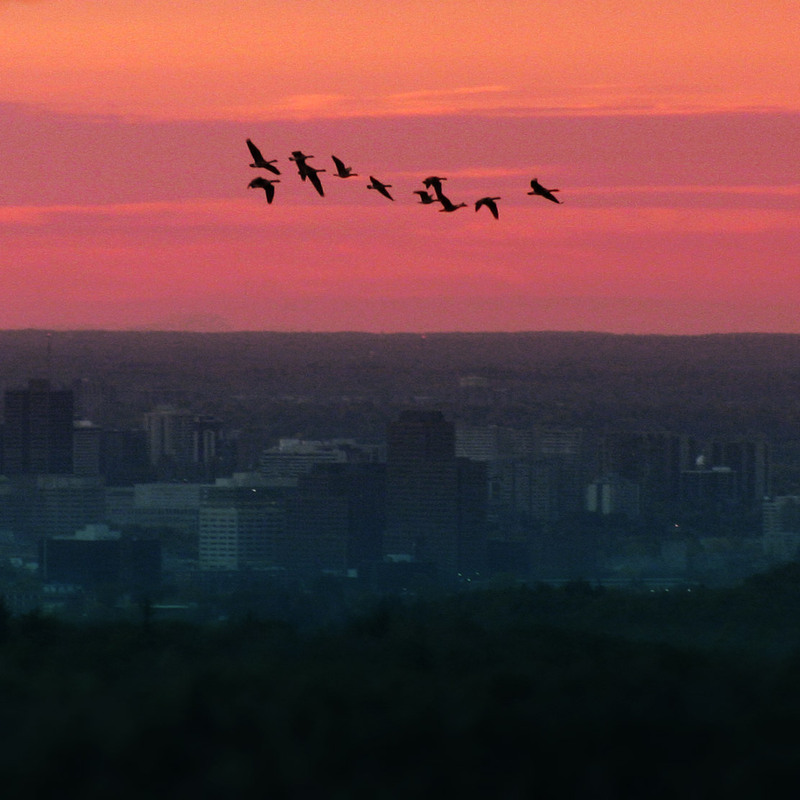 This is the downtown core, right at daybreak, taken from a lookout WAYYY up in the Gatineau Hills. The sun is just beginning to glint off the rooftops and burn off the morning mist. I love how really long zoom lenses compress the landscape – it seems like the whole city is one narrow band of buildings along a ridge. I got up this morning before dawn to tag along with Ken and Greg on a photo hike into the Gatineau Hills, hoping to catch the sunrise over the city. It was a pretty productive shoot! There were lots of great views along the path, and it was fun to be able to do portrait series of lichens and mosses without holding anyone up. 🙂 I’ll post a few highlights over the next few days. This is a squadron (a fleet? a wing?) of Canadian Geese that took to the sky just a few minutes before sunrise. Early birds!